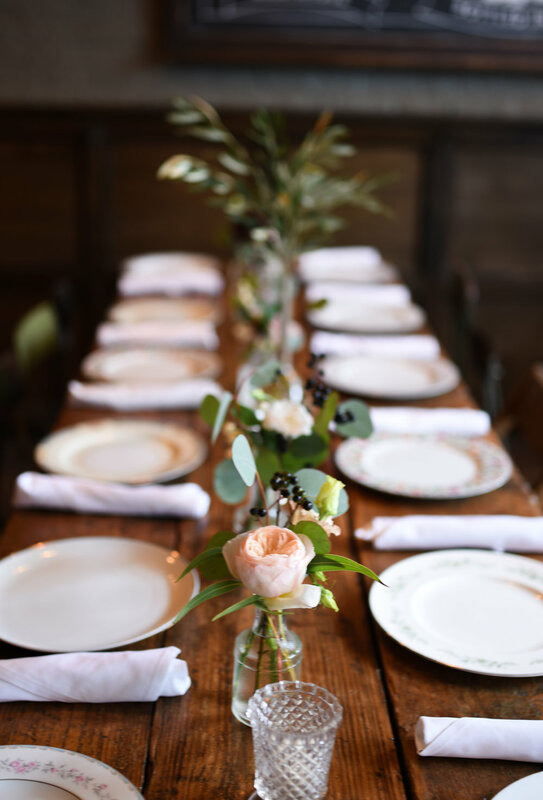 This year we had the opportunity to work with the Brooklyn Winery to make a baby shower beautiful! This Brooklyn baby shower was decorated with bud vases and a large arrangement, in a natural, spontaneous style. With a high contrast color palette, we made the flowers natural, yet modern. The dark and pale tones of the garden roses, dahlias, lisianthus, and berries were so lovely. We wish you the best of luck with the new baby!